This statistic shows the average earned income of immigrants in Canada in 2016, by admission category. 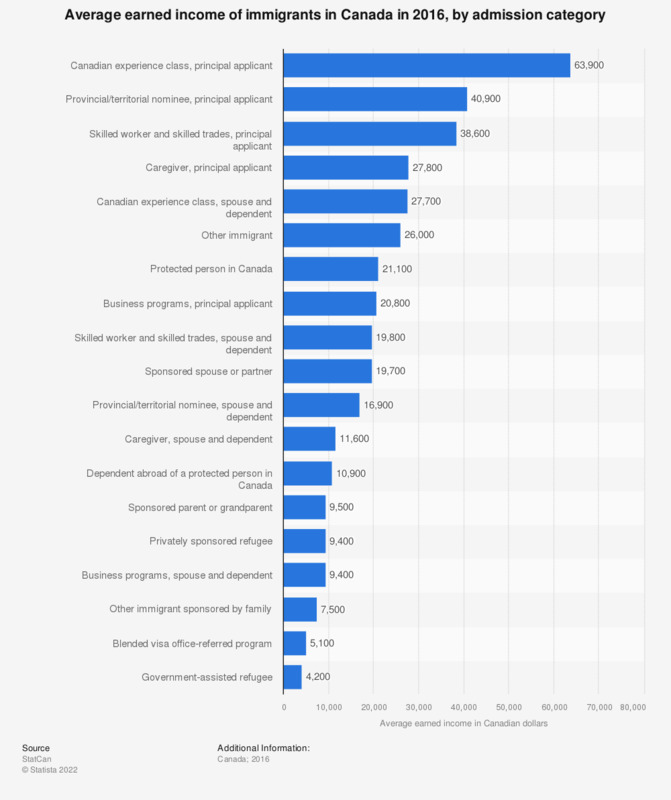 In 2016, people who immigrated as the principal applicant under the skilled worker category earned, on average, 38,600 Canadian dollars. Figures include people who immigrated in 2016 and all previous years. Earned income includes wages, salaries and commissions, being the sum of T4 earnings (line 101 on the income tax form) and other employment income (line 104).